In our main lesson we have studied the Industrial Revolution. We have built a model village of what the world looked like in the 18th century. We started building in 1710 and gave each village a tavern, a church, and a smith tanners. We have slowly built it up until it was more similar to the 19th century when the Industrial Revolution took effect. Now there are factories and machines. We have learned about entrepreneurs like Richard Arkwright and their inventions to make work easier. 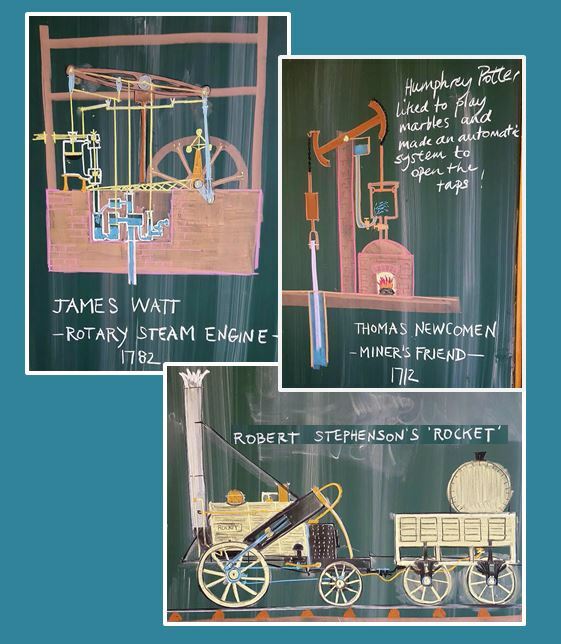 Engineers like Thomas Newcomen and his steam engine and James Watt who improved upon that to create the rotary steam engine which really got things going. Today Ben told us how the potato saved millions of lives during this time. We also made a steam powered pencil sharpener.